Carol can develop the volunteers for your organization to be sustainable and mission focused. The following programs developed by Carol Bylsma testify to her expertise, knowledge, and friendly manner and the level of success each program continues to enjoy. Broomfield Master Gardeners, Extension, Colorado State University. As Director of this Extension Office, Carol started and trained the initial six Master Gardeners. This group developed the native plant gardens at Broomfield City Hall. Developed in 2002 and ongoing. New Mexico Site Stewards Volunteers, San Juan Mountains Association, Durango, Colorado. Developed the pilot volunteer site stewards program for the New Mexico area of Anasazi Pueblo Ruins. This program is the basis of the ongoing Site Stewards Programs in Utah and Colorado. Rivers of Colorado Water Watch Network (now simply called River Watch), Colorado Parks and Wildlife. Sought and received initial grant from US Fish and Wildlife Service to create a citizen science river and water quality monitoring network throughout the state of Colorado. Developed the training model, manual, supervised staff, coordinated volunteer recruitment through middle, high and college schools. This program provides continuous, unbiased data on water quality and is used by both the Colorado Department of Health and Department of Water Resources. Developed in 1998 and ongoing. Roxborough State Park Volunteer Naturalists, Colorado Parks and Wildlife. Designed, recruited, trained, supervised, and celebrated the volunteers that eventually became the Friends of Roxborough State Park. This volunteer group continues strong these 36 years. Co-designed and developed in 1982 and ongoing. Barr Lake Volunteer Naturalists, Colorado Parks and Wildlife. Designed, recruited, trained, supervised and celebrated the volunteers. This group also became a Friends Group. 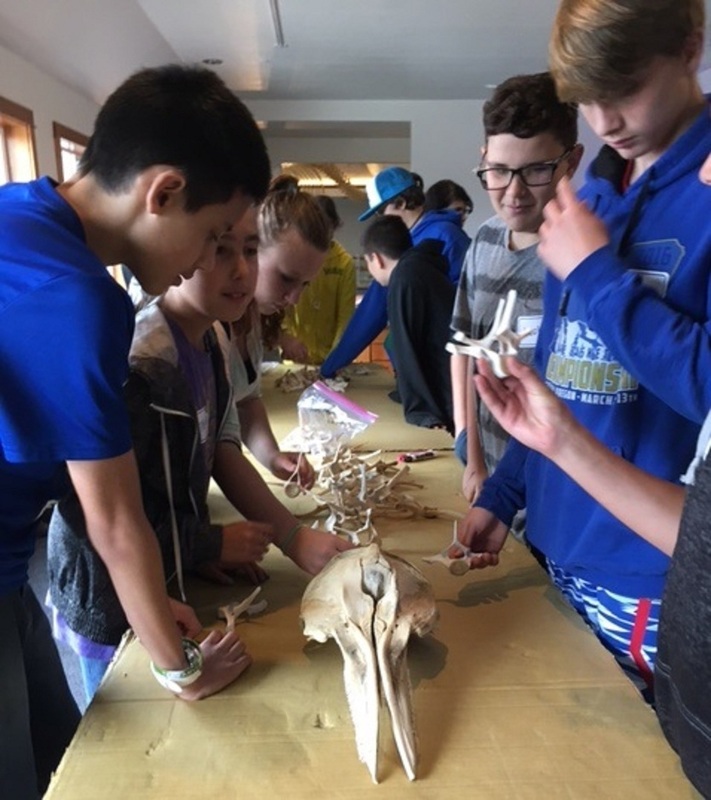 Charleston Marine Life Center, Charleston, Oregon October, 2016 Designed and developed a K-2 NGSS activity for school visits to the museum. STEAM After School Program, Oregon State University Extension, Newport, Oregon 2014. Developed and taught K-8 students in an after school STEAM ( Science, Technology, Engineering, Art and Math) program exploring aerodynamics, electricity, and ecosystems. Monument Valley Elementary School, San Juan County School District, Utah. January, 2013. This beautiful school faces Monument Valley with views of the Mittens and other amazing formations. A week long professional development program for teachers of K-6th grade has readied the teachers to feel confident to teach in an inquiry way, not just their science using FOSS, but other subjects as well. Bluff Elementary School. San Juan County School District, Utah, August-September, 2014. Bluff elementary is a sweet, small school just across the San Juan River from the Navajo Reservation. Working with the wonderful teachers and their equally wonderful students was just plain fun as well as personally rewarding for me to watch the teachers improve their skills and confidence in teaching inquiry-based lessons.